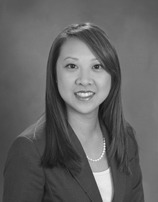 Mai is an associate general counsel at Fannie Mae. She previously worked as an associate at O'Melveny & Myers, where her practice focused on securities litigation and antitrust litigation. She received her undergraduate and law degrees from The George Washington University. Prior to attending law school, Mai worked at a government relations and lobbying firm. Mai grew up in Pennsylvania in a small suburb near Philadelphia called Quakertown, but has lived in the D.C. area for more than ten years now. In her spare time, Mai enjoys traveling, dining out, and not exercising (except for Bikram yoga). Andy is a Senior Associate in International Tax with BDO in New York. He holds an L.L.M. in Taxation from Georgetown University Law Center., a J.D. from Rutgers University at Newark and a BA from the University of Virginia. He previously worked for Warner Music Group as the International Tax Manager and was previously associated with Ernst & Young in New York City. Andy is Director of NAPABA’s Thomas Tang International Moot Court Competition. He enjoys finding and dining out at new restaurants. Caroline attended Harvard College and graduated with an M.P.A. from the Woodrow Wilson School at Princeton University. She obtained her J.D. from Columbia School of Law and is currently a litigation associate at WilmerHale in Washington, D.C. Caroline has interned with the United States Attorney's Office (S.D.N.Y. ), the Honorable Raymond C. Fisher of the Ninth Circuit Court of Appeals, and the United States Senate Subcommittee on Children and Families. Prior to her graduate studies, Caroline worked on anti-tobacco legislation as an Urban Fellow in the New York City Department of Health. In her spare time, Caroline enjoys biking, sculling on the Potomac, and finding new things to try. John Huynh Brown John is an associate at Arent Fox LLP where he is a member of the Business and Real Estate Group. He received his J.D. from the University of Utah, S.J. Quinney College of Law, and his B.A. from American University. After law school, John clerked for the Honorable Richard L. Williams of the United States District Court, Eastern District of Virginia. John grew up in Salt Lake City, UT, where he hopes never to return there again (except to visit his family). Phong graduated with a B.A from the University of Texas at Austin, an M.S. from the University of Texas at San Antonio, and a J.D. from St. Mary’s University School of Law. He is a partner in the Intellectual Property Group at Baker Hostetler LLP in Washington, D.C. Phong is a former Assistant City Attorney for the City of San Antonio. He formerly served as Vice President of the Asian Education Fund (APABA-DC) and is actively involved with the National Asian Pacific American Bar Association and the National Youth Leadership Forum Law Section. Phong enjoys playing basketball and golf and watching U.T. sports. Hansel graduated from Harvard College and Harvard Law School and currently is an associate at White & Case LLP in Washington, D.C. As a member of White & Case’s International Arbitration and Litigation Group, he specializes in international dispute resolution and complex civil litigation matters. Hansel also serves on the Board of Directors of VietHope and AALead. Hansel grew up in the Olympia, WA area. Nguyen is an Associate at Bingham McCutchen LLP where he is a member of the Telecommunications, Media and Technology practice group. Nguyen earned his J.D. from the Catholic University of America, Columbus School of Law, and his B.S. from Miami University. Before entering law school, Nguyen was a software consultant providing systems analysis on a wide variety of software platforms. Dan Gien is an attorney with the Division of Trading and Markets at the U.S. Securities & Exchange Commission. He earned a J.D. from University of Pennsylvania Law School, where he was Research Editor of the University of Pennsylvania Law Review. He also has an M.B.A. from the Wharton School, and Master of Music and Bachelor of Science degrees from Yale University. Dan previously worked as an associate at O’Melveny & Myers LLP in Washington, DC. Before law school, he worked for several years as a business strategy consultant in New York, and has prior industry experience in finance, pharmaceuticals, and Internet startup companies. An accomplished classical pianist, Dan studied with Peter Frankl and Robert McDonald, and has performed extensively as a solo recitalist and chamber musician.